One of the neatest things about our little (very little!) business is the unique nature of each assignment. 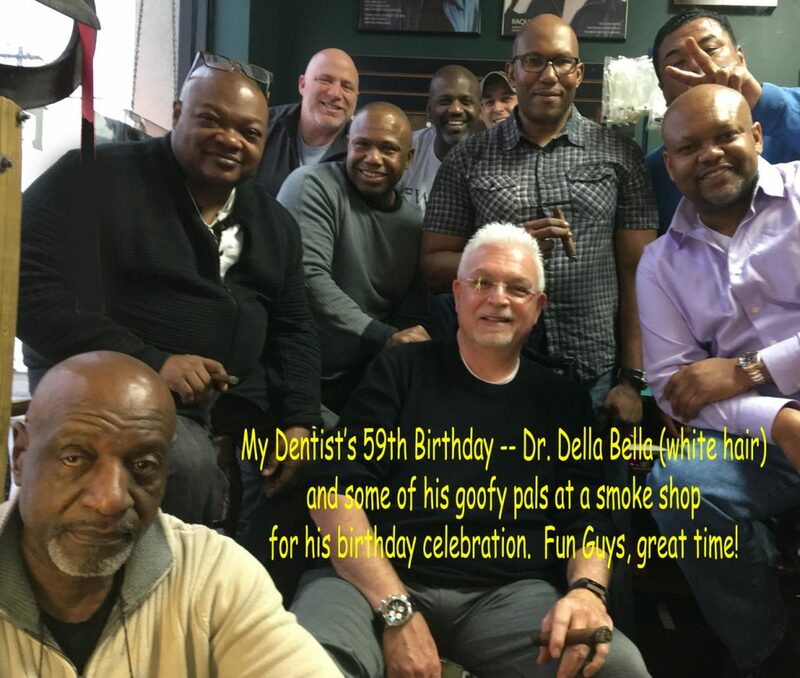 I got a call some years back from a dentist in Cincinnati needing a sketch — we worked it out and he does a lot of very expensive dental work for me in exchange for my services. One of us is getting the short end of the stick no doubt but I shall remain silent on that issue… Great guy, lots of fun, very generous. 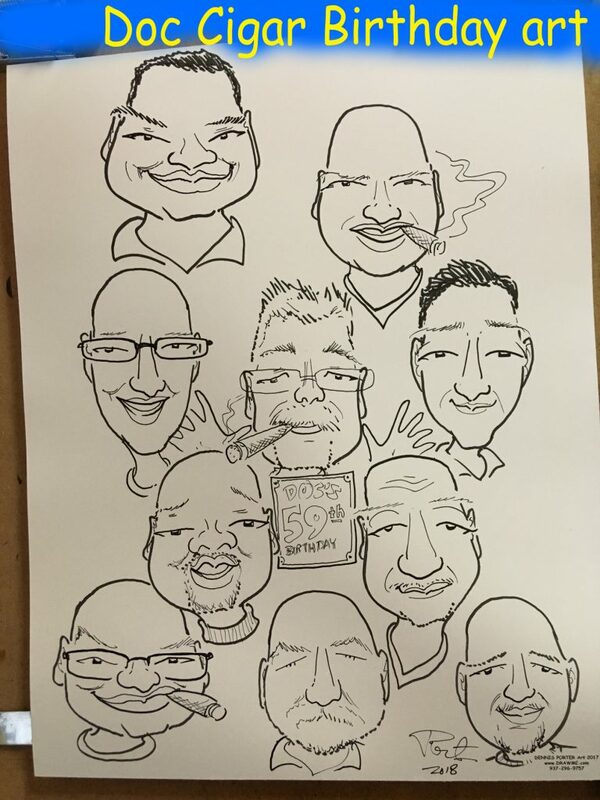 To celebrate his Fifty-Ninth birthday he invited a group of his fellow cigar freaks to their favorite tobacco shop and I came by to sketch everybody. Smart guys, lots of style and opinions and very, very bad jokes. Many laughs, I tell ya… Anyhow at the end of it all I drew the guys who were still there and here is that item. Happy Birthday, doc!